My father, Leo Obal Dykes, enlisted in the CCC's from Tulsa into Company #2819, Camp Watonga SP-21-OM from July 1940 to 1 January 1941. 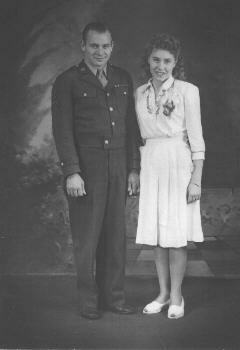 He was drafted into the US Army in Sept 1942, serving in Italy with the 5th army for two years from Sicily, through Anzio and on till after the fall of Rome. He was a corporal and was a mechanic, he repaired anything with a motor from tanks to 5th Army aircraft. That is an Ordnance company, I believe. We have a photo (one) of him in the CCC's with friend, one Roy Walker. I would like to hear more about his service. If you know of any record of names that can be searched please send to me as well.